The Indiana temperature is showing no hint that autumn has arrived. Yesterday. I thought I’d die in the hot, humid heat as I wandered around The Feast of the Hunter’s Moon. The Feast is a historical reenactment in its 51st year in Lafayette Indiana. It was a scorcher. However, the forecast has a big change ahead. It may be 87 degrees today but by the end of the week, we’ll dip below the freezing mark. I have outdoor chores in mind that I want to complete before it gets cold. If I didn’t know the forecast, I could easily be caught off guard by the change that’s coming. I’m not about to wash windows in cold temperatures and the windows must be done before winter sets in. So, I’m thankful for the meteorological heads-up. I’m shocked that it is already time for cold weather and that it’s October 9th. I think we all get caught off guard at the speed with which time slips by. One way to enjoy an unhurried life is by looking ahead and making preparations to avoid craziness. Believe it or not, the holidays are just around the corner and I don’t want to be caught off guard. So, here’s your holiday forecast—they’re coming. Here are a few ideas to help you plan ahead for the holidays. It’s always fun to add some holiday extras but without a little pre-planning there never seems time to make these happen. So, start planning now and add a little zing to your holiday season. Don’t wait until the last minute to create the perfect costume. If you’re heading to a costume party, harvest festival or just taking a little friend out to get some treats, have fun dressing up. My granddaughter announced the other day that she was going to be a kitty and the aunties were going to be puppies. I’m glad we have some time to get creative. My historical reenacting outfit just needed a mask and fan to snazz it up. 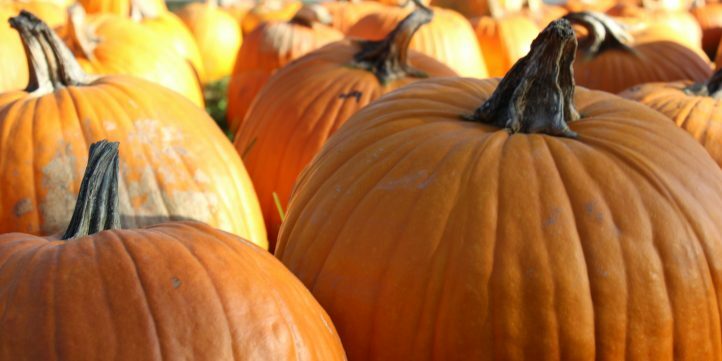 While perusing your nearest pumpkin patch, be sure to pick a pie-pumpkin. Make a special pumpkin pie this Thanksgiving. 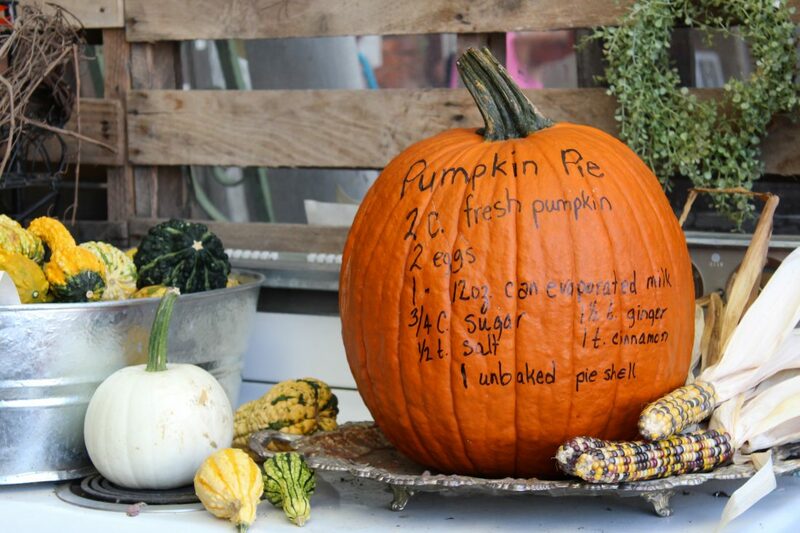 Skip the canned pumpkin and prepare a pie with fresh pumpkin. Stock up on candles. A chilly fall evening calls for candle light. 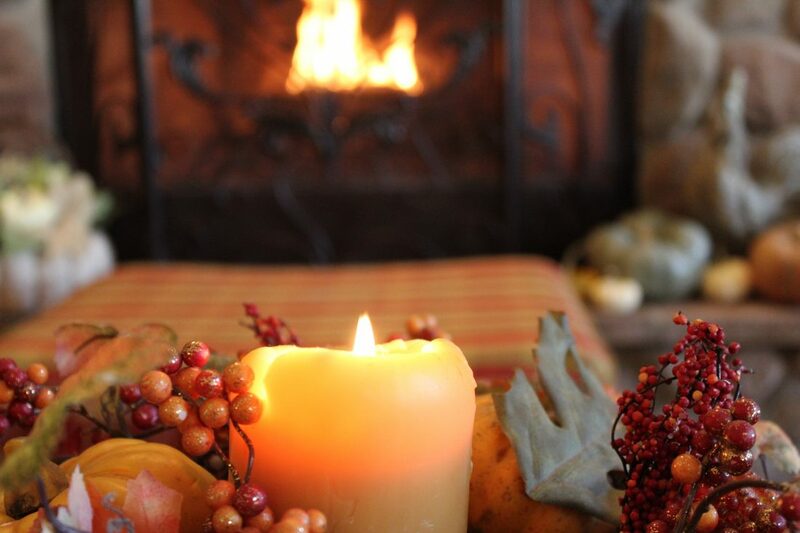 Autumn decorations and flickering candles warm any fall evening. My granddaughter also announced that she wanted to decorate a Christmas tree. She plans on using ducks, chocolate and marshmallows to trim the tree. She’s 2. I might just need to adjust her decorating plans. Pinterest to the rescue. I’m making plans now so that I can make time to create some memorable craft time with my granddaughter. I don’t want to miss this opportunity because I’m too busy. 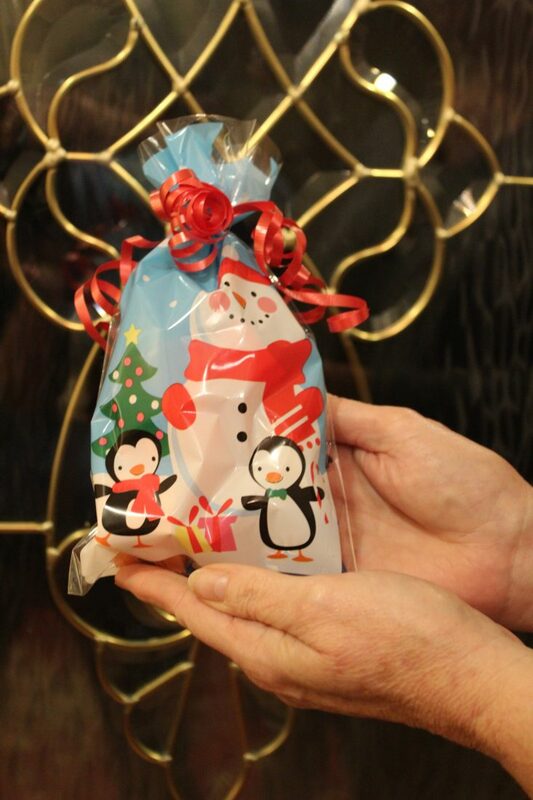 One of the joys of the season is the joy of giving. Soon bell ringers will be huddled outside every store in town. Be prepared. Begin now collecting dollar bills to stuff in the red pots. One of my favorite things to do throughout the season starts November 1 with the Halloween candy clearance sales. Stock up! I fill small plastic bags with clearance candy. They are perfect to pass out to bell ringers as you stuff their pots with your dollar bills. I always have one ready for cashiers, sackers and delivery personnel. Get ready now to spread a little sweetness later. One of the plans I have for the holidays is to create a new eBook for all of you. So, I’m off to work on more ideas that will help you enjoy the coming season. Look for it soon. I predict that the weather is going to change and the holidays are coming sooner than we think. So, be prepared. Make the most of the Autumn season. Be sure to download my autumn FREE EBOOK HERE. 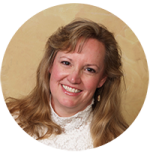 This entry was posted in Christmas Ideas, family, Holiday Planning, Holiday Simple Pleasures and tagged holiday preparations, holidays are coming. Bookmark the permalink. So fun! I can’t wait:):) The holidays thrill my soul! I can’t wait for the fun to begin! Thanks for the tips to prepare! It is going to be a wonderful season of joy! Beautiful reminders to take the time now and plan ahead so we can truly enjoy those precious moments During the holidays! Thank you so much!